How Fast Do Razor Electric Scooters For Kids Go? 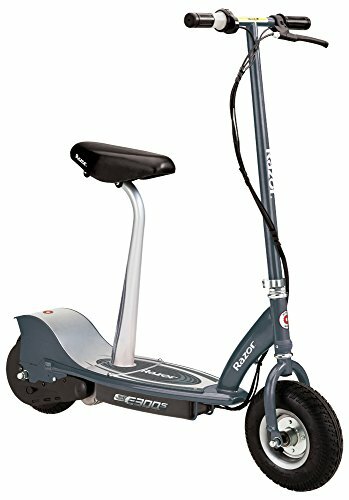 How to Charge A Razor Electric Scooter? Where to Buy An Electric Razor Scooter? With the holidays just around the corner, it’s not too early to start thinking about which electric razor scooter your child will want to unwrap on Christmas morning. Because of the popularity of Razor electric scooters, it’s possible that the top-selling options go out of stock by the time Christmas shopping season rolls around. If your child has been wishing for a motorized razor scooter all year, then you’ll want to familiarize yourself with the best items on the market so your child will be the most thrilled and, more importantly, as safe as possible! Not bothered by Razor? Check out our overall favorite electric scooters review. We’ve researched 8 of the newest razor scooters that have impressed both children and parents, and are must-buys when considering what to place under the tree this upcoming holiday season. Razor places the highest quality razor scooter models on the market, and the Razor E300 is no exception. With a retractable kickstand and handbrake, it’s easy to park and bring it to a stop during an emergency. The chain-driven motor allows it to move at a solid 15 mph, which is both safe and satisfying for kids and parents. 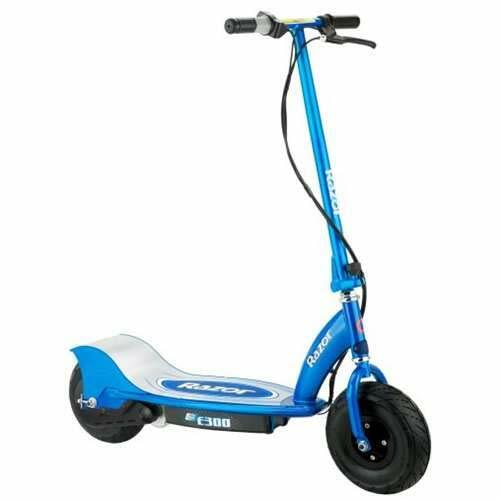 It’s the perfect scooter for small trips or cruises around the neighborhood. The pneumatic front and rear tires are large enough that riders can glide over rocky terrain without falling off, and the battery system ensures long usage. Why We Liked It – This scooter is a reliable, safe, and classic choice. With plenty of accommodating features for all skill levels, this scooter will transport children safely on small trips. If your child is attracted to vibrant, sleek colors, the E100 will be the best choice. Its appealing blue coat is perfect for any kid looking to impress their friends and show off their cool new wheels. The scooter is also built beautifully with a high-torque, chain-driven motor for seamless rotation and efficiency. The twist grip throttle gives riders an exciting acceleration towards their destination, and the adjustable handlebar allows for riders of all heights to adjust their scooters accordingly. Geared towards ages 8 and up, this ride is designed for smaller children to experience a big kid thrill. Why We Liked It – This scooter safely moves small children at 10 mph with efficient ease and exciting acceleration. 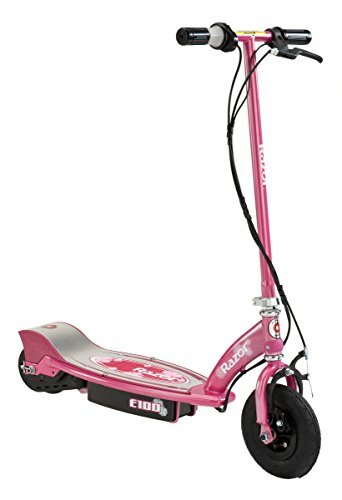 E100’s throttle, seamless movement and rotation will excite children new to razor scooters. Attention all young Spider-Man fans! This is just the scooter for you. This long-lasting razor scooter will transport young children for up to 80 minutes, which is a significant ride capacity for electric scooters by Razor. At 10 mph, it’s is an electric scooter designed for kids to casually cruise. This scooter is easy to operate with a push button throttle that does the acceleration work for small children. The in-wheel hub motor is reliable and tucked away from children’s reach. The Urethane front wheel is damage free and the airless rear tire ensures protection against rough terrain and rust. Why We Liked It – This is an adorable alternative to traditional biking for young riders and an opportunity for children to show off their love for Spiderman. Adults can bring their children on long rides and walks with the incredible battery life of this model. Adults would also benefit from Adult Kick Scooters over adult electric scooters for weight loss. This razor model is for those looking for a cross between a traditional bike and electric scooter. The EcoSmart Metro has extensive features similar to those offered on bicycles, including a faster speed than other electric scooters, a detachable luggage carrier, and carrying basket. At up to 18mph, this model is capable of traveling near bike speed in quiet environments like on suburban streets. The adjustable seat allows for all riders to make use of this model, and the twist grip acceleration control will provide everyone with a safe grip. There’s also a wide footrest underneath the seat for security. Why We Liked It – This is an adorable and convenient alternative to biking that will allow children to travel with belongings to their destination. Kids will feel stylish riding this smooth and unique model. This adorable and one-of-a-kind razor pocket mod is for imaginative kids seeking to feel like they’re cruising through Europe. Regardless of its vintage appearance, this ride is built with modern technology- a long-lasting 24voltage battery life ensures for long commutes. The battery allows users to drive 10 miles! It can easily be charged overnight for long usage during the day, and powers at a steady 15 mph. Although 7-year-olds at a minimum can use this bike, it has the capacity to seat teenagers. The seat opens up to reveal a wide compartment perfect for storing belongings and traveling to school. Why We Liked It – The eye-popping color and design will get any kid’s imagination soaring. The Pocket Mod is unique among competitors and generous in its speed and long battery life. If your child would benefit from the ability to ride seated or standing, the Razor E200S will be a great option. With a detachable riding seat, riders can easily attach and remove the adjustable seat according to their preferences. The rechargeable 24V battery guarantees long ride up to 40 minutes in length, and razor’s signature 200-watt chain-driven ensures efficiency. This model’s hand operated rear brake will cushion immediate stops without skidding and will keep all riders positioned upwards to prevent falling. The heavy-duty spring-loaded kickstand will also keep it propped up when parked for long periods. Why We Liked It – The E200S expands the capabilities of riding with the removable seat, while still offering the amazing qualities of the alternative E200 such as 40-minute rides and a high-performance motor. The E300S offers the same qualities as the E200S but with a faster pace for experienced users. A motor Razor scooter can sometimes be so loud that the engine noise is overpowering and off-putting, but this high-torque engine is also ultra-quiet. If your rider’s ears are sensitive, they can enjoy a low-volume motor as well as long rides due to the 24-volt battery that guarantees 40-minute rides without charging. Just like the E200S, the seat is easily detachable and can be removed according to the rider’s preferences. With this model, Razor also increased the durability of their products with the 10-inch pneumatic tires featured on this razor motorized scooter. Why We Liked It – Anyone looking for a removable seat doesn’t have to settle for the slower E200S; instead, they can up their game and cruise faster while seated with the E300S and experience the same benefits. This model is a great choice for parents with first-time riders that are concerned about safety. This scooter includes many features designed to provide ultimate protection against accidental falls. The twist grip accelerator is easy to grab, and the variable speed acceleration makes for steady speed increase so children are not being plunged into high speeds unexpectedly. It cruises at 15 mph, which is faster in comparison to other models, but a black helmet is also included. Other benefits are an ultra-quiet motor that alleviates distracting and excessive engine sounds, and a strong chain-driven motor for efficiency and long life. Why We Liked It – At 15 miles an hour, this scooter will travel fast but is also built with maximum security and safety features. It’s sure to thrill kids and relieve worried parents. A Razor electric scooter provides hours of outdoor fun for children of all ages, but many parents still resist purchasing a trusted model for their kids due to safety concerns. It’s also easy to become overwhelmed by all of these options. It’s important to know exactly what to look for so you can buy the ideal model for your child. Here are several factors to consider when comparing scooter models. The most common concern about electric scooters is how safe they actually are. Children are bound to encounter minor accidents when engaging in any outdoor activity, and motorized scooters are no exception. However, razor models are always limited to a certain mph (on our list, the fastest is 18 mph) to protect small children from danger. Always check each scooter’s maximum mph to ensure that the one you’re considering purchasing is right for your child. To combat potential dangers from falling, make sure your children wear a helmet when riding and even elbow and kneepads. Making sure your children have safe riding gear goes a long way toward ensuring safe rides. Razor encourages all users to carefully read their instructions and understand the right way to use their Razor E Scooter. If used correctly, it will offer children a safe, cool and exhilarating way to travel. One of the best ways to measure a bike’s security is by assessing its braking system. All electric models will come with at least a front brake that can be accessed via one of the handlebars. However, for ultimate protection, you’ll want to choose a scooter that includes rear braking. If the scooter only includes a front braking mechanism, and the child needs to come to a sudden stop, the likelihood of them falling off is increased. A front braking system will send the entire scooter to a halt, but without a signal reaching the rear tire the scooter will skid forward and could potentially send the rider flying off if their speed is high. An additional rear braking system ensures stable and controlled shortstops. A rider will be able to glide to a halt without skidding or throwing their foot to the ground for support. Instead, the scooter stops the entire machine fluidly. On newer models such as the RX200, riders experience ultimate protection with a rear disc braking system. This provides maximum brake ability through rotating discs that when pressured lock a scooter’s moving ability before skidding can occur. This is most ideal on scooters that travel at high speeds or over rugged terrain. The speed of your child’s scooter should be heavily considered. While your child might request something that moves at maximum speed, it’s not always best for their safety. Several factors impact whether a child should operate a high-speed scooter. 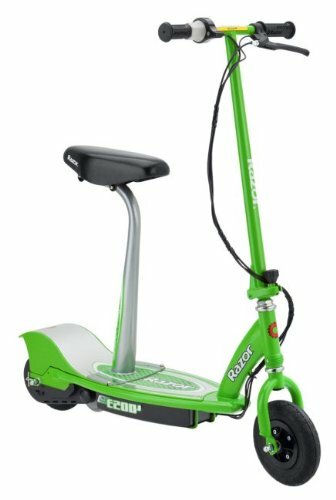 · Age: If a child is 13 or younger, it’s recommended that they use a scooter that rages from 10-12 mph. This speed suits their ability and experience. Children 13 or older can handle 15-18 mph scooters that are designed for their body weight, height, and intermediate to advanced level of use. · Location: If you live in a quiet suburban or rural area with low car activity and lack of rugged terrain or steep inclines, a higher speed is less likely to put a traveler through a dangerous fall. However, those in densely populated areas with lots of car traffic or steep inclines should consider whether their child would be able to safely ride under these conditions. · Destination: Older children who want to efficiently travel to a nearby destination will benefit from a fast scooter, but younger children who aren’t traveling independently don’t need to move at high speeds. Evaluate the reason for the child will be using the scooter, and select a bike with the appropriate speed. A scooter will be frustrating to use and quickly abandoned if it doesn’t allow for long battery life, no matter how fast a scooter might be. If children seek a scooter to travel, they’ll need a vehicle that can get them there and back. Many Razor scooters guarantee 40 minutes of straight traveling, and specific models like the Pocket Mod allow for 10 miles of use. A child will be irritated if their battery-powered Razor scooters are constantly out of juice and need to be walked, but will be grateful if their model can handle lots of use. Another factor that affects us is charge ability. Whether a scooter can charge quickly or not will affect the ability to travel. It’s highly recommended that users charge their scooters overnight or while at school to prevent their tank from running low constantly, but the scooter must also be able to charge quickly. Always research how long charging takes for each model before purchasing. 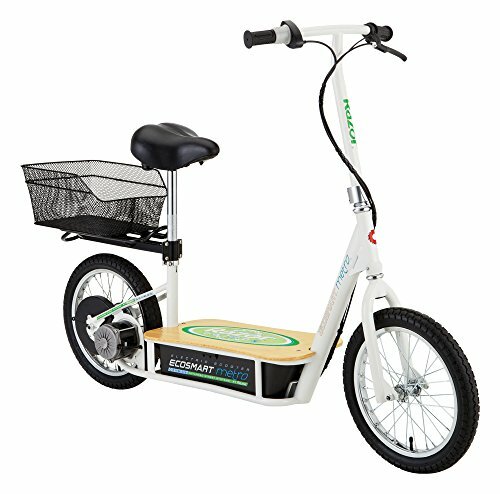 Scooters with 24-voltage batteries are the best choices for the longest rides. Just like a beautiful car design is important to many adults, an exciting design is exciting to most children. Riding a scooter is an opportunity to impress friends and show off a beautiful color. 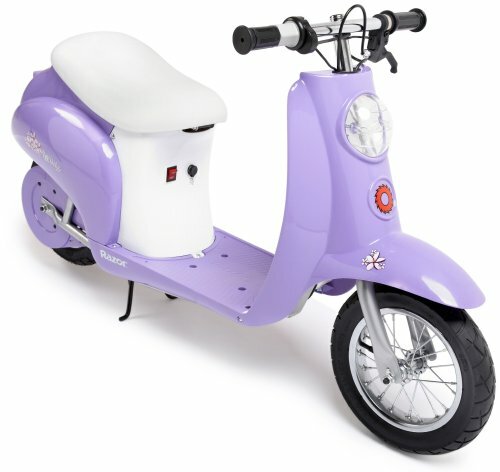 A colorful and attractive scooter will be a wonderful addition to any kid’s collection of special possessions. Scooter manufactures know the importance of a unique look and design exclusive designs for each model. These specific designs are intended to enhance the overall look of the scooter and activate a child’s imagination. Vibrant greens, blues, and reds are common and stand out among solid colors. However, many black, white, and silver models exist for kids who prefer a slick and classic appearance. These scooters are just as beautifully designed as the vibrant models. Other models implement specialty designs meant to evoke certain styles. The Pocket Mod’s bold pink color and vintage build evokes a retro European motorcycle. Others combine elements of traditional bicycles to deliver a product that feels less like strictly a scooter and more like a hybrid scooter-bike hybrid. A child might be most attracted to LED lights, which will narrow down your selection significantly. A specific design can completely affect a child’s overall impression of a model. Choosing a bike in your child’s favorite color could make all the difference. Keep your eyes peeled for additional features that manufacturers include that are designed to enhance the riding experience. The most popular feature is a built-in kickstand, which will essentially park the scooter during downtime. This keeps the scooter in pristine condition and away from damaging hard surfaces. Some scooters include built-in compartments or baskets so the rider can carry belongings to wherever they’re traveling. This can come in handy when going to school, the library, or a friend’s house to do homework. For some, these bonus features simply enhance the quality of the overall model, but for other children the addition of a powerful kickstand or built-in compartments can make all the difference and really stand out against other models. Keep in mind that although a scooter’s features might match your child’s needs, the overall product might not be intended for their age. A scooter will always come with a recommended age for children. Some are intended for children 8 and up, 13 and up, etc. Always look for whether the scooter you intend to buy will correlate appropriately with your child’s age. 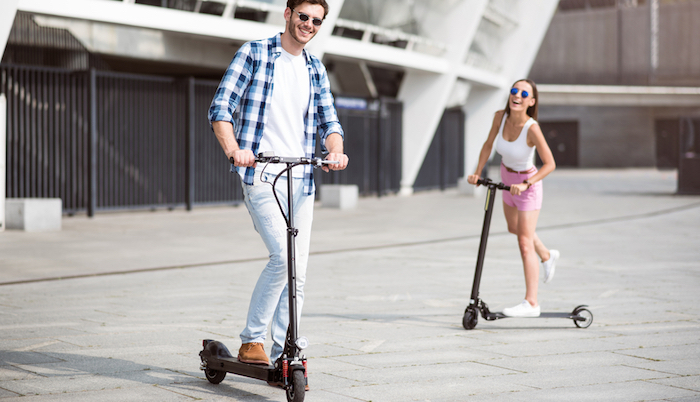 This will also ensure that they are tall enough to use the scooter at its maximum potential without needing to completely adjust the model to fit their size. A razor scooter ranges in speed depending on the age each model is designed for. Scooters for young children around age 8 move at a slower pace such as 10mph, and scooters for older children age 12 and up move around 15-18mph. Each scooter will need to be charged regularly to prepare for use. All Razor scooters come with a charging cable that plugs directly into the scooter and can be stored in a garage when charging. If the charging system becomes lost, additional cords for each model are available on Amazon. For parents and children concerned with choosing a model best for battery life, there are many additional ways to conserve a scooter’s battery charge that save energy and lead to longer use. Always make sure that the charger you are using is made for your scooter. It’s possible to purchase a charger that is meant to charge a model with a different voltage, and plugging this into your scooter can damage its battery life. Always read your owner’s manual for specific information about voltage needs. If you lose a charger and need to purchase a new one, always double check that the charger matches your scooter. This is a common mistake among buyers who have lost their first chargers and can lead to the destruction of the scooter battery. This is one of the worst things you can do to your scooter- it will dramatically decrease mileage and its overall lifespan. Avoid leaving your scooter charged for longer than 12-24 hours. This can also damage your battery life because the high voltage from the charger can decrease the maximum voltage capacity in the scooter’s 12 -24 hours when you get home. Overcharging is just as dangerous as undercharging; it’s all about finding the right balance. A scooter is a machine just like a car, computer, or cell phone. It needs to be taken care of, charged regularly, and charged properly. By visiting these sites, you can also purchase additional gadgets and safety protectors that will really enhance a child’s ride. Razor hosts a Deal of the Day, which often includes exclusive discounts on helmets, pads, and scooter accessories. Both Razor and Amazon allow you to search for specific products and filter search for specific qualities among the wide selection of model types. If you are keeping a scooter in storage or will not be using it over the winter months, still consistently charge the device so that the model’s battery can perform at top level. Activating its battery is healthy for the scooter and will pay off when summer rolls around and your scooter is energized for optimal use. Did you know that electric scooters are not just for kids? Razor electric scooters are becoming increasingly popular among adult commuters in city areas as an alternative to walking or even taking the metro. If you or a loved one commutes to work and complains about their lengthy travel time or body pain, consider purchasing an adult model for them to use. An electric scooter will make traveling less tiring and taxing and save any hard worker’s energy for the office. With such a wide market and many options available, finding the best razor motorized scooter for your child can be overwhelming. Sending your child off on electrically powered wheels can also be nerve-wracking. 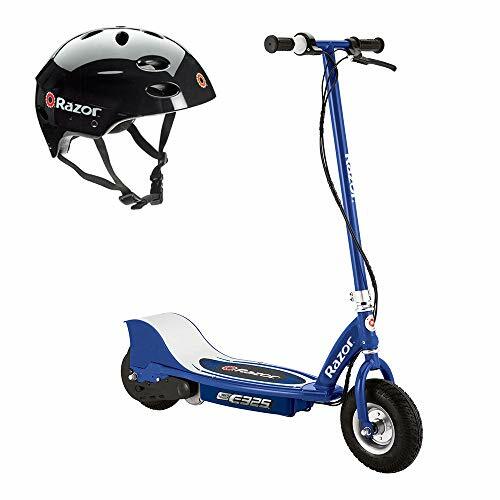 However, through thorough research and comparison, you will be able to find a razor motor scooter that’s best suited for your child and also built for safe riding. What makes a scooter right for each child depends on their specific preferences: if they prefer high speeds and the ability to transport belongings during trips, invest in the Pocket Mod. If slick colors and light up displays are important, you might choose the E100 Glow. Are they looking for a safe vehicle for adventure? The RX200 will do the trick. 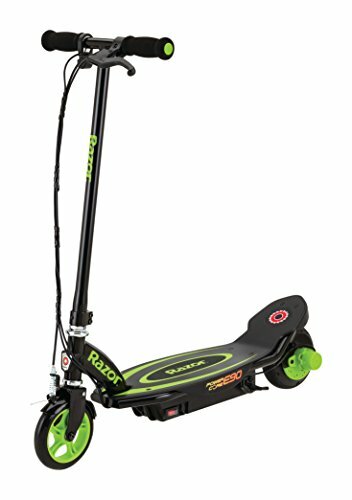 Whatever their preferences might be, Razor offers scooters that are bound to be compatible with each individual child. You can guarantee a perfect match by researching these high-quality options and assessing which is best for your child. And don’t forget to put a helmet under the tree, too!